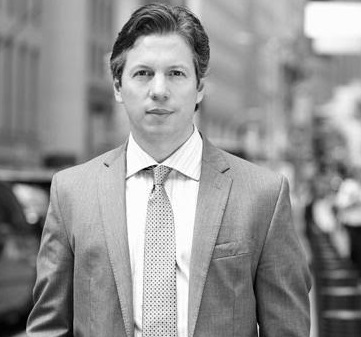 A native New Yorker who knows and loves all things NYC, Jason Homa takes genuine pleasure in guiding his clients in the search for their perfect home. As a real estate Representative, Jason holds himself to the same perfectionist standards he embraces in his work as a professional portrait photographer, making use of his eye for detail, exceptional customer service, and keen listening skills to great effect in both endeavors. As a photographer, Jason has shot everyone from rock stars, models and actors to ordinary New Yorkers. He developed the ability to quickly build trusting relationships with his clients, a vital skill that he applies to his work as a real estate Representative with great results. "The client is everything," Jason says of his personal approach. He always strives to put their needs front and center, focusing on them with crystal clarity. A proud resident of Morningside Heights, Jason truly appreciates the neighborhood's abundance of prewar architecture, as well as the ease of getting to other places in the city. He received a BFA in photography from the State University of New York at New Paltz, and his most recent personal project is a series of New York City landscapes. Clients appreciate my exceptional attention to detail and eye for design. It comes from my photography background but applies to everything. I’m able to understand the vision clients have and see it through to completion. Many people have commented on my honesty, sincerity and calm demeanor, even under stressful situations. A candidate for a doctorate in history is baffled by my sense of diplomacy. Because I am only trying to be the best version of myself and I keep the focus on my clients. I don’t get distracted by someone sitting next to me doing a bigger deal, because there will always be one. I stay focused on what is right in front of me. I always operate from a place of what is best for my clients; I never have a hidden agenda or motive. I give them everything I have to give; I fight for them with everything I’ve got. I am completely honest with them and treat them with the utmost respect. By continuing to ask for help when I need it. If I ever think I know it all, I’m in trouble. I love the camaraderie and support in my TOWN office. I’ve got a great manager and the Company is led by some of the best in the industry. I feel comfortable reaching out to anyone. We also have a great ongoing educational program at TOWN. Our classes address everything from the needs of newcomers to seasoned pros that just want to participate in an open discussion on some of the more complicated situations we face. My first deal was a small walk up on the Upper East Side, and I’ve been hooked ever since! While not exactly record setting… I knew I could do this, and felt great knowing I helped someone find his way in the city I love. Meeting and photographing Joe Strummer, the Elvis of my people, was definitely a life event. Finding a way to stand out from a sea of real estate agents here in NYC is a challenge. I’m exploring out of the box ways to use my photography in marketing myself. Personal/Business: These are really one in the same; I enjoy getting out and meeting people all over the city at different events and venues. And, that is how I tend to get new business. It is a good marriage of personal lifestyle and business! I feel I could be more diligent in these efforts, though. That being said, I need more time to take care of myself in a more rounded way; physically, creatively, spiritually. NYC continues to fascinate me on a regular basis. Particularly its architecture. It is forever evolving and changing, but still tells stories of its past. I love the old pre-war buildings marching down Riverside Drive but I’m also drawn to many new developments by some of today’s most notable architects. Buildings like Zaha Hadid’s 520 West 28th Street and Bjarke Ingel’s Pyramid on West 57th really offer something creative and something all New Yorkers can appreciate. I’m also happy see our past preserved, as is the case with 5 Beekman and its beautiful interior. “Keep strong spirit, always.” My former karate teacher said that a lot. He was a world champion and a spiritual warrior. He confronted life head on and never backed down. It’s simple, it’s what is most often in my head. As to not sound like an academy award winner, I'll stick with family. My father barely ever missed a day of work. I’m sure I got a strong work ethic from him. My mother worked in interior design for years. Growing up I would follow her projects and there were always a lot cool magazines around the house. I think that sparked my creative interests and design aesthetics early on. As much as I love the city, everyone needs a break, a little peace and quiet. For a quick fix, my go to place has always been St. John the Divine. Not for its religious services, but as a retreat. Stepping in there one is immediately transported to another time and place. Its sense of awe and wonder is calming and leaves me feeling more serene and centered. When that is not enough, I head for California and go redwood forest hopping. This is otherworldly. I pack food and my camera and get lost for the day. My most recent trip brought me to Humboldt State Park, up north a bit. I love the ‘Giants’. I’ve developed quite a collection of Allen Edmonds shoes and Hugo Boss sports jackets! I still take pride in my art deco era antique camera collection. I love mid-century furniture by designers such as Eames, Le Corbusier and Mies van der Rohe. I can also loose hours in ABC Carpet & Home; it has so many unique little treasures by such talented artists. Real estate has me running all around the city and visiting areas I otherwise might not see as often. Although I’ve lived here my entire life, I’m seeing it as new again. It has inspired me to start a new series of city-scapes which I am really enjoying. I’ll snap something with my iphone when I’m on the go and return with a real camera a few days later. I can’t tell you how many people are excited about the idea of working with a native New Yorker in real estate; it surprises me sometimes how rare that must be! That potential advantage aside, people really enjoy hearing stories of old NYC when I take them around. I put someone on Saint Mark’s Place recently and she was totally unaware of the Tomkins Square Park Riot of 1988, or what that neighborhood used to be. A client visited me in my office on 14th Street by the High Line and he couldn’t believe what that area was years back. When people ask about the Old UWS I tell them to watch “The Panic in Needle Park” but, you really had to be there.